NEWSFLASH: Revision Week Just Got Bigger! The Editor is thrilled to announce that award-winning picture book author Susan Stevens Crummel will be joining the Revision Week lineup! Loved for her solo books as well as her collaborations with author/illustrator (and sister!) Janet Stevens, Susan will shed light on the ins and outs of working through a highly collaborative revision process. Join us for seven days of free edit giveaways and revision talk here on DearEditor.com, starting March 24! 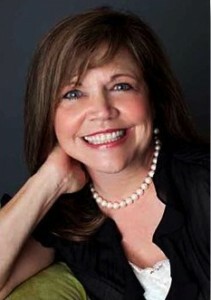 Susan Stevens Crummel has authored and co-authored nearly twenty popular picture books for children. Her books with her most frequent collaborator, author/illustrator (and sister!) Janet Stevens, include Help Me, Mr. Mutt!, one of Time Magazine’s Top 10 Children’s Books of 2008 and winner of the 2010 Texas Bluebonnet Award and the 2010 Florida Children’s Book Award, The Great Fuzz Frenzy, winner of the Bill Martin, Jr. Picture Book Award and 10 state book awards, Cook-a-Doodle-Doo!, winner of the 2001 Texas Bluebonnet Award, and And the Dish Ran Away with the Spoon, winner of the 2004 California Young Reader Medal. I’m terribly interested in the topic of collaboration, so I am especially thrilled to see this exciting addition to the terrific Revision Week line-up! Thank you. Glad to know collaborative revision is especially interesting to you, Cathy. Previous Post Previous post: Announcing DearEditor.com’s Revision Week 2013, March 24-30! Next Post Next post: Welcome to DearEditor.com’s 2013 Revision Week!